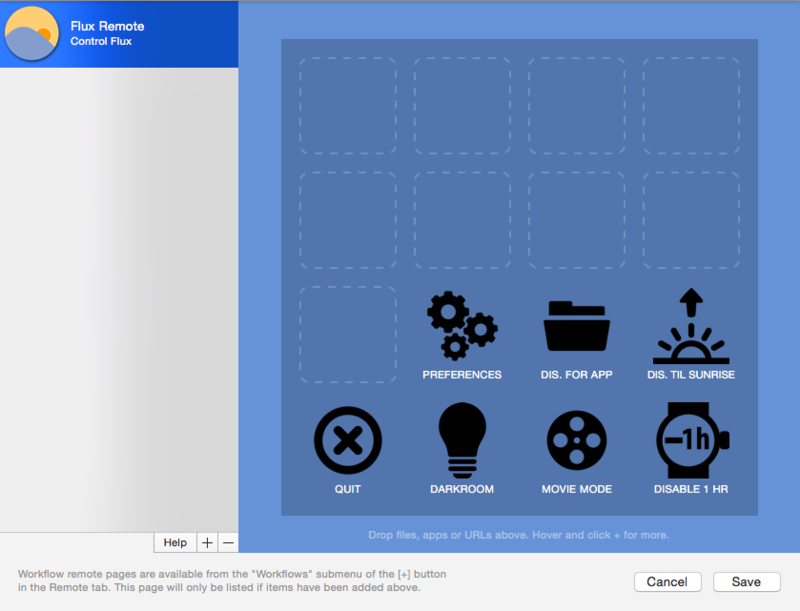 I've been watching lots of films and making use of the Alfred Remote features lately, and thought it would be handy to be able to control f.lux remotely as well. Includes a general workflow to control Flux as well, though I realised after searching Packal afterwards this has already been done - so the remote part will be of most use. Thanks! I've updated the workflow in GitHub to reflect these changes. Apologies for the delay.